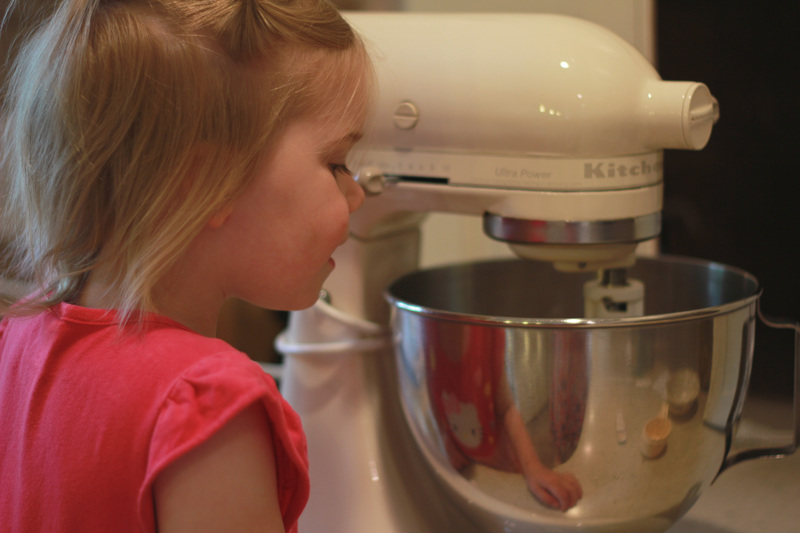 I’ll be honest, I usually do my baking when Jenna is napping, but this time I let her “help”:) It is fun to watch her eagerness to turn the mixer off and on. 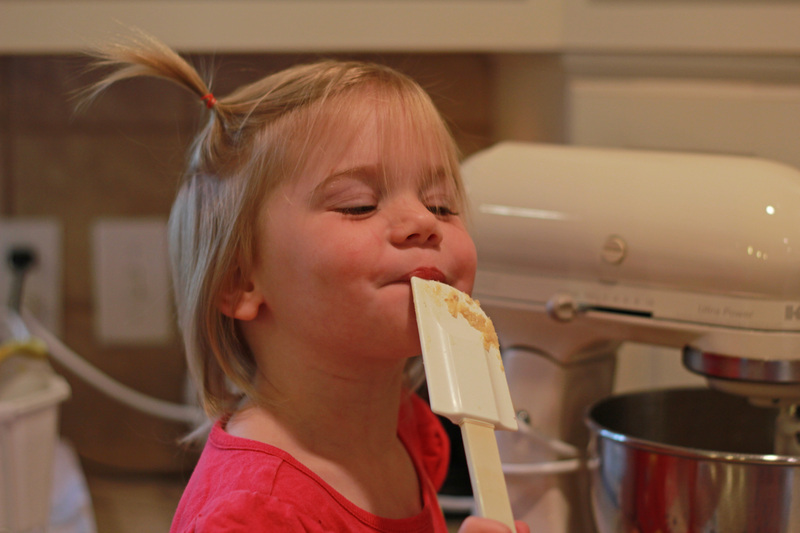 This is a quick, easy recipe we enjoy. Directions : Cream together butter & sugar. 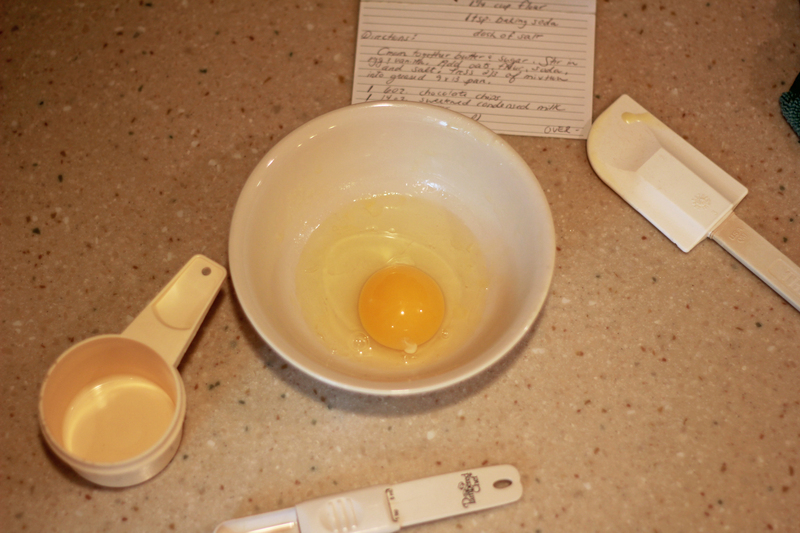 Stir in egg & vanilla. Add oatmeal, flour, soda, & salt. 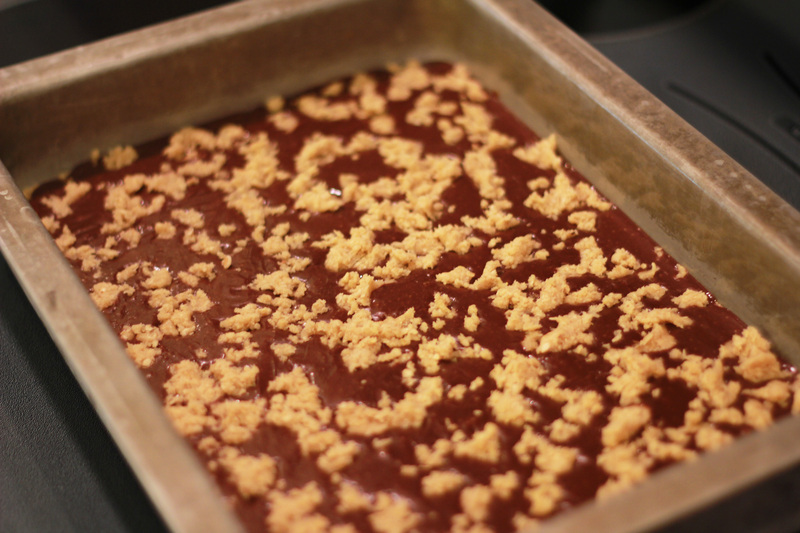 Press 2/3 of mixture into a greased 9×13″ pan. 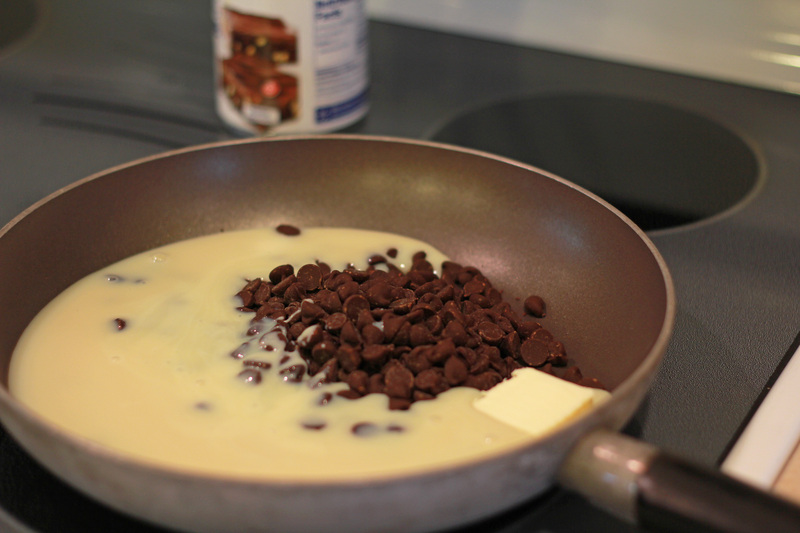 Melt together chocolate chips, butter, and sweetened, condensed milk, stirring constantly over low heat. Pour over mixture in pan. Crumble remaining oat mixture over top. Bake @ 350 degrees for 18 – 20 min.